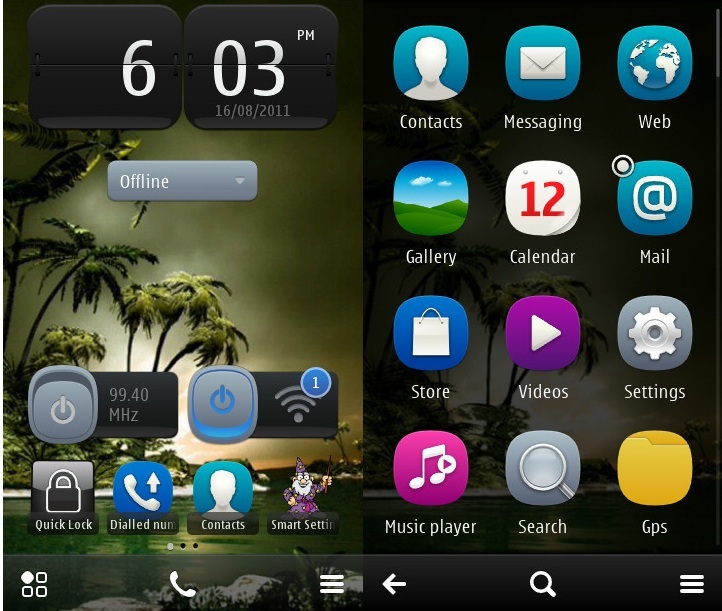 Symbian Belle Update Leaked: Not recommended – try at your own risk. This morning a reader called subraj emailed us to say that Belle would somehow be leaked today on DailyMobile Forums. j.jhon just tipped in that the folks at mobile4arab are putting Belle on their N8. Since it’s on these two places already it won’t be long before everyone is aware of it (cheers to the incoming tips too from oho, jimmy, Ian about this too). SO….As with the Leaked Anna early in July, please be aware that we would advise against this. This is NOT recommended. If you do brick your N8 you do this without warranty support. This will be highly tempting to some however, who are still waiting to get the Anna update (which should be available in the next two weeks). If Leaked Belle is available so soon, the rumours that Belle might arrive so soon after Anna (before 2012 :P) sounds more believable. j.jhon also updated to a demo page on daily mobile detailing possible bugs for Belle on N8. Unfortunately we can’t give you instructions or the file itself, but it shouldn’t be too difficult to come across it. Only flash your N8 to belle if you know what you’re doing. 🙂 Even then, you could mess up your N8. Here’s what Dinesh from Nokia’s Communications team said about the last leak to our readers (back in July).